Sri Lanka has everything you could possibly want in terms of travel, stunning scenery, idyllic beaches, surf, mountain climbing, safari, white water rafting, whale watching, turtle releasing, ancient cities, modern cities, massage & relaxation, cycle hire, sari shopping, elephant orphanages and temples galore. The country is also small enough that all the above are easy enough to do on weekend trips from the Work the World house in Kandy. Some of the above can even be done in Kandy itself! Needless to say I had an amazing time in Sri Lanka from the moment I landed the whole thing was the perfect mix of medicine and fun. I had been very nervous of travelling on my own but as long as you can get yourself on a plane to Colombo and through the airport, Work the World will pretty much see to the rest. Work the World did everything for me: picked me up from the airport, sorted accommodation and transfers (including a spectacular train steam train journey from Colombo to Kandy), fed me large quantities of delicious Sri Lankan and Western food, took me to the hospital and introduced me to my consultant and then returned me to Colombo airport at the end of it all. All of the above you can probably read on the work the world website so I wanted to include some of the little things the team did for me whilst I was out there. Kavinda, the Programme Manager cares. One night a dental student and I were en route to climb Adam's Peak before sunrise. Kavinda called us long after bedtime to check we were ok. He also helped book numerous tuk tuks and accommodation for our weekend trips and get some good bargains with the locals. When I first saw my room in the Work the World house I was terrified that I was room sharing with the neatest person on the planet. I later realised it was Champa the cleaner who made everything so tidy every single day. One day the group of students were talking about fruit we had not tried. The next day uncle (the caretaker) went and picked some little sour apples and Prasanga (the chef) brought us a woodapple type thing for us to try. Prasanga also made sure he always included our favourite aubergine curry whenever we had a curry night and that our demand for pancakes (which increased dramatically over the two weeks) was always met. He would also always pop the kettle on when I arrived home. The placement aspect of work the world was also fantastic. Sri Lankan medicine is taught in English and to be a consultant you must work in the UK for two years, so all the doctors are fluent. 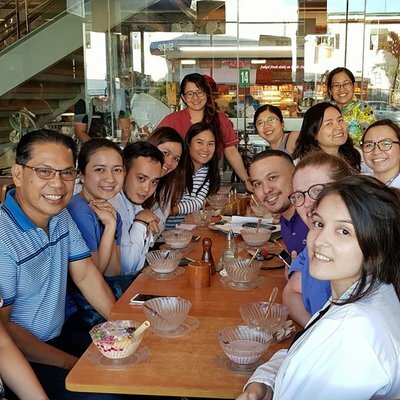 The medical practice is also incredibly similar, but due to the large number of patients a lot of the communication and confidentiality aspects we are used to are none existent. However it does mean your experience in the field is drastically increased in the space of a few days. A typical week in Obs & Gynae would be two days of theatre, two days on the ward which included around 140 pre natal women, 2 to 20 gynae patients and a labour room where up to 8 women were delivering at once. The other day was a clinic day where the team saw around 200 pregnant women in the morning and 200 gynae cases in the afternoon. 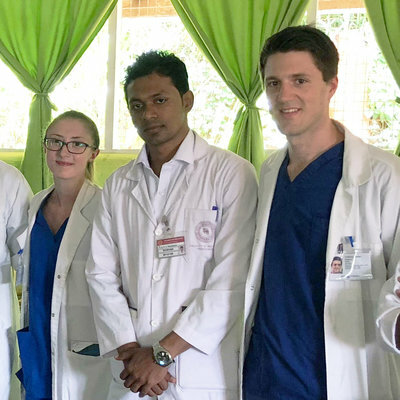 The team treated me like a guest and were really eager to teach me and talk about being a doctor in Sri Lanka. They also were really good at supervising my practical skills even after I'd asked for the hundredth time during an episiotomy repair "Is it ok if I put the stitch here?" The highlights of my placement were: scrubbing for almost every operation I saw; learning how to assist on caesarean sections. I got a full explanation of why each clamp needed to go where and when to move my hands and why; Repairing an episiotomy; Helping with the prenatal check in the biggest clinic I have ever seen; Holding a newborn when the incubator in the labour room got too full. ; Going to an outreach clinic, then having king coconuts with the registrars on the side of the road on the way back. 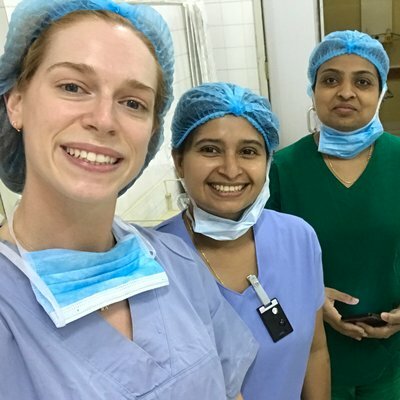 I would really recommend going on your elective with work the world to Sri Lanka as it offers a hassle free elective with fantastic clinical experience in an unspoilt, beautiful country with loads to do.